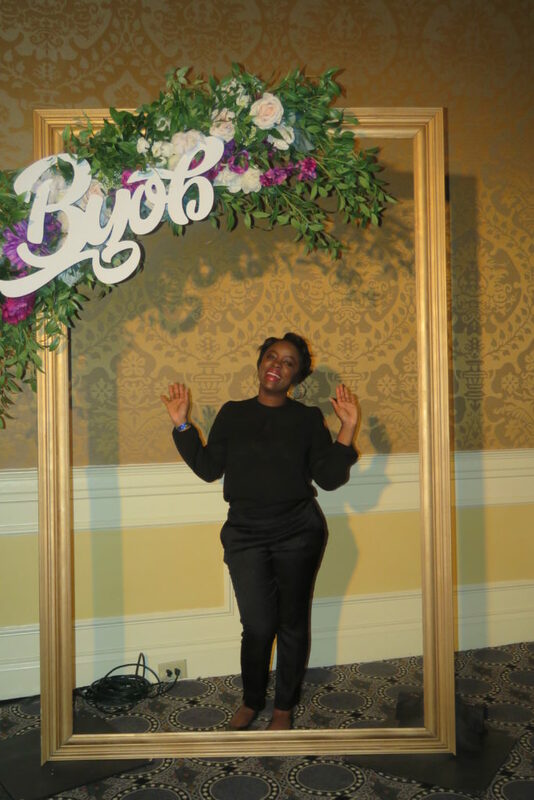 As a Solopreneur with LiteWork Events, I derive inspiration from so many different sources – which is why I was so excited to join my childhood friend Ariel Belgrave, Founder of Gym Hooky, in attending the inaugural Bring Your Own Brand (BYOB) Retreat this past Memorial Day Weekend 2018 in Washington, D.C. 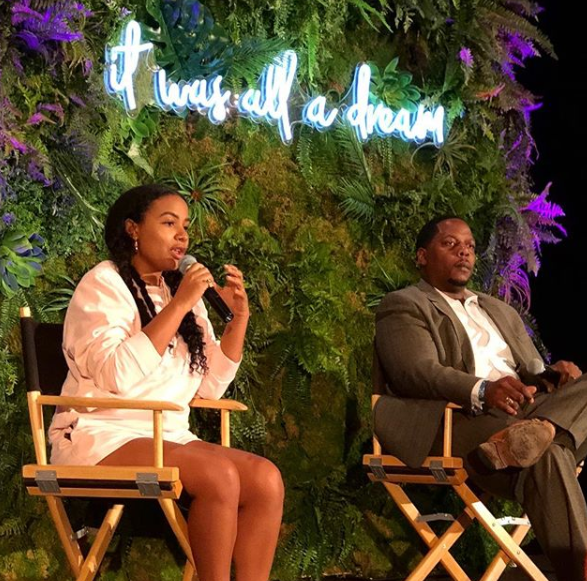 The weekend brought together over 1000 diverse millennial creatives and entrepreneurs from across the country and was truly a first of its kind gathering. As the brainchild of Founder and brand expert Andrew Nguyen, the #BYOBRetreat was designed to provide a mix of personal and professional development while creating a platform for networking and goal setting. The energy and vibe amidst the sea of like-minded, driven and just all around dope people was truly on a level I have yet to experience before! Below are just a few gems I left DC determined to bring back to Boston! “Successful brands trigger a feeling.” Alex Wolf, Writer and Founder of Boss Babe, Inc.
Feeeeelings (Ella Mai voice)  Nike is more than the swoosh, the iPhone is more than a cellular device, and your brand is more than a product or service. What is the emotional response you want people to actually feel when they encounter your brand? Is there one at all? In the “Protecting Your Brand” workshop, Alex Wolf reiterated the idea of establishing a unique feeling with your brand. In this day and age, the average consumer is being pulled in so many directions, but the brands that rise above are those that establish an irreplaceable emotional connection. How many of us are spammed with emails, flyers, ads, etc. of impersonal content that trigger no emotion but a quick flick of the wrist to either delete or swipe past? Get to know your audience and define the feeling(s) and added value you bring to the table! Forget the bougie depiction of Insecure’s “Molly” that we might be familiar with. 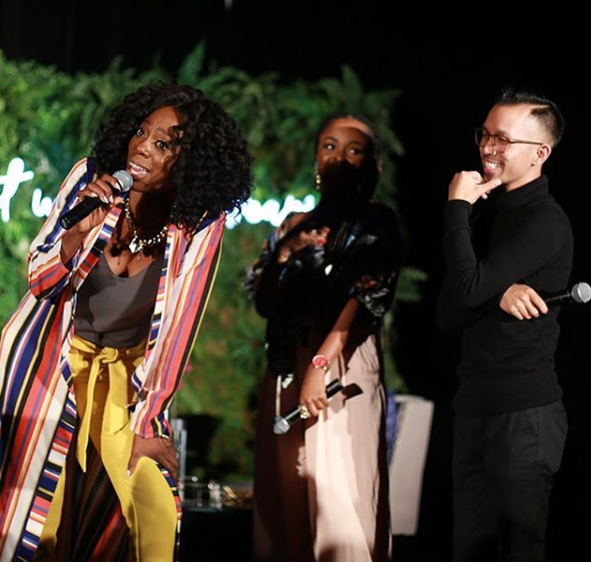 Yvonne Orji’s keynote address with moderator Gia Peppers was one of the most down to earth and unfiltered professional sessions we could have attended! The address served as a candid reminder for all of us to be the uncompromising, self-assured power houses we were meant to be. Your prices are your prices. Your values are your values. No opportunity is worth becoming a lesser version of you. Just as “Bentleys don’t go on sale”, as Yvonne so gracefully put it, you should never have to compromise your worth or your beliefs in order to receive your blessings. AMEN! Self-care is your number one priority. I repeat, self-care is your number one priority. Ok, we all know this – right? Well, more specifically, self-care is not just the abstract idea of #treatyoself. Self-care is also being aware of your limitations and knowing when to say “no” to the things that are not aligned with your future goals. 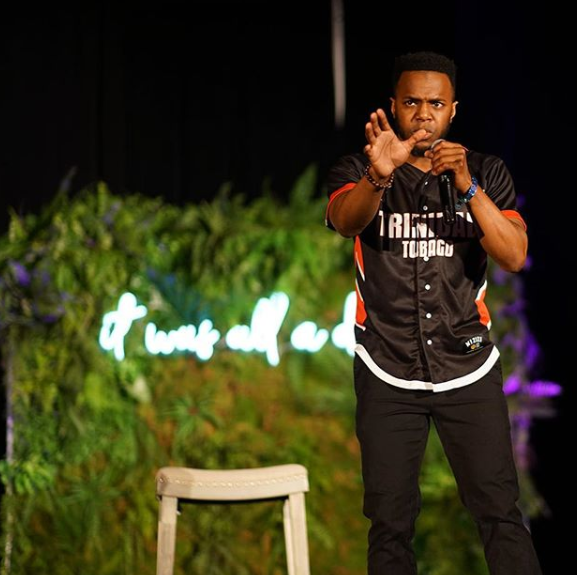 In a very raw and honest keynote, Jonathan Jackson, Co-Founder of the online platform Blavity, shared with us his own perspective on the struggle to maintain one’s personal sense of self in the pursuit of the person you are trying to become professionally or business-wise. As an entrepreneur, there will always be things we choose to give up in order to achieve the goals we define for brands. Don’t let yourself be one of them. Sometimes we get so lost in the hustle and bustle of our “success” that we forget that the brand does not exist without the person. We have to be intentional about making time to develop our personal goals in the same way we are intentional about crushing our business goals. When you stop working on the things that are so closely attached to your brand, who is the actual person that is left? #QTNA. While I can’t begin to sum up ALL the gems from the #BYOBRetreat, I must say these words of wisdom certainly offer some food for thought for any Black Millennials with an existing or developing brand!